Wagering on NHL matchups can be quite different than betting on your standard football or basketball games. For one, NHL games don't use a standard spread, and their lines are composed of either moneylines or pucklines. However, the most interesting way that hockey betting differs from NFL or NBA betting is through the grand salami-a wager that allows gamblers to bet on the combined totals for every single matchup of the day. The grand salami is a fun and exciting way to break out of the daily grind of betting on the same things. Many times sports betting can become monotonous, especially for those gamblers that approach the craft like a business, and mixing up your wagers by trying something new can be an excellent way to keep yourself energized over the course of a long betting year. 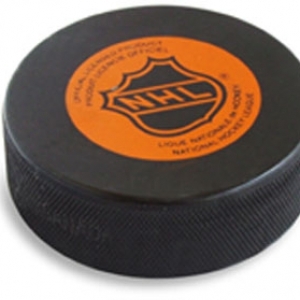 Let's take a closer look at the NHL grand salami bet and go over a few ways to wager on it. The NHL season is a grind with multiple games taking place every day, and the schedule can get as jam packed as nine to 10 matchups on any given night. The grand salami bet is totals wager that sets a line for the combine scores of every game on the schedule for that particular evening. The bet, however, is not always on the board, and if there are only a few games scheduled for a certain day the wager will not be available. The oddsmakers don't necessarily just add together the totals for each individual game of the day in order to get its grand salami lines. A recent total for a nine-game schedule had its line set at 50.5, but the combined individual totals for the day's games added up to only 49. The main reason for the discrepancy is that many games will drastically go "over" their posted totals, and the oddsmakers need a little more wiggle room. How to wager on the grand salami? The biggest tip a bettor can receive for wagering on the grand salami is to do his or her research. Know which teams are on the second night of a back-to-back or playing the third game in five days. Looking up each team's average scores or even the combined average nightly scores of every NHL game can help. Another great tip is to wager on the grand salami during lighter days on the schedule when maybe four or five teams are playing. The reason behind this particular tip is the fact that one game can become the deciding factor between a win and a loss. If a grand salami has five games playing during a given night, a high score of 10 goals or low score of one goal can essentially win the bet for you early in the schedule. However, if you are wagering during a day when there are 10 games on the docket, one high- or low-scoring game might not be enough to tip the scale in your favor. The NHL grand salami bet can be a great and out-of-the-box wager to make. Just remember to do your research. Get free picks from any of Doc's Sports Advisory Board of expert handicappers - and with no obligation or credit card. You can use these free picks for any sport, and you will never deal with a salesman. Click here for your free Doc's Sports picks.